First of all you need to make sure you have installed most of the necessary codec files. 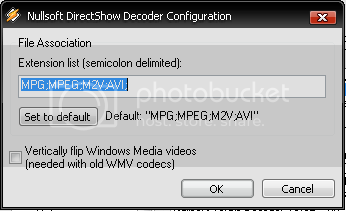 If you aren’t sure about it then I advise you to install the K-Lite Codec Pack. Also download and install QuickTime Alternative for playing quicktime videos. 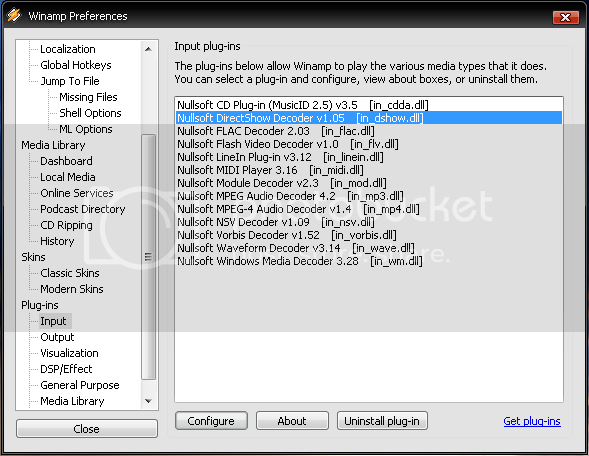 Now start Winamp and go to Preferences> Plug-ins > Input and Select Nullsoft DirectShow Decoder in the right hand side and click “Configure” below. By default, the DirectShow configuration for Winamp should look like above. 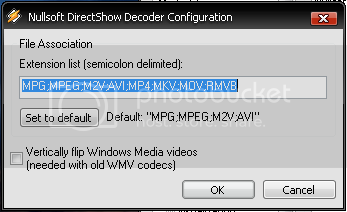 That’s it, you should be able to play MKV, .MP4, .RMVB, .MOV Files in your favorite Winamp.